The Walkera Company is located in Guangzhou, China and has made some impressive machines since 1994. It has about 12 types of amazing quadcopters and the one that I will present here, is one of their very best: the Walkera Scout X4. Scout X4 is a very interesting quadcopter which has everything you need for incredible aerial filming, from the 3-axis gimbal to the 1080p HD camera and 5.8 GHz real-time video feeds system. 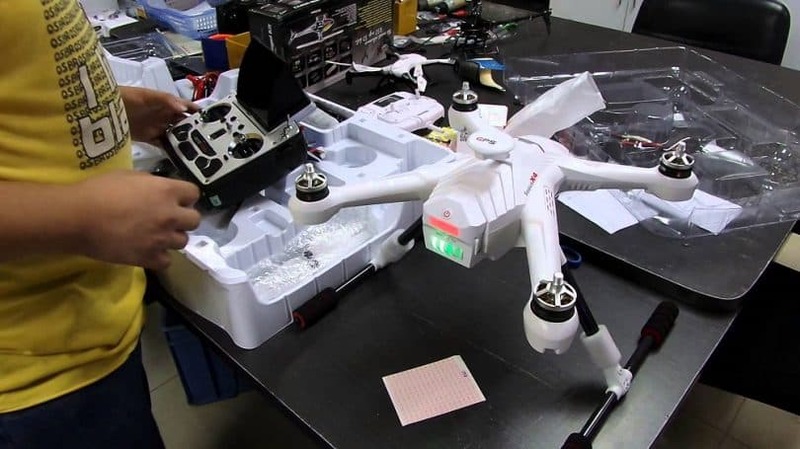 Although Scout X4 is being eclipsed by newer drones from the company, it still remains an attractive option for those who want a quadcopter which can become an octocopter without having to buy a new drone. But, how can this be possible? The answer is the Scout’s X8 upgrade kit which can transform the Scout X4 into an octocopter. This upgrade kit is for those who want a drone with higher lifting capacity but don’t like the dimensions of an actual octocopter. First, you should know that there is the possibility to purchase this quad with a stylish aluminum case, but this depends on the seller. So before you buy it, you should check the package’s content to see if they provide you with everything you want. Once you receive the package you just have to take the drone out of the box, place the gimbal and camera, charge the battery and read the manual observantly. Some say that the manual is too difficult to understand but you can find a lot of information on Facebook and YouTube as well. Now let’s talk about the Scout X8 conversion kit too. This one comes with all the necessary tools to update your Scout X4 to an octocopter. As I said before, the lifting capacity will increase but, the disadvantage is that the flight time will be shortened because of the extra motors that will drain your battery faster. The X4 quadcopter is small and easy to travel with. It has 4 500 kV motors which means it’s pretty powerful and a retractable landing gear. 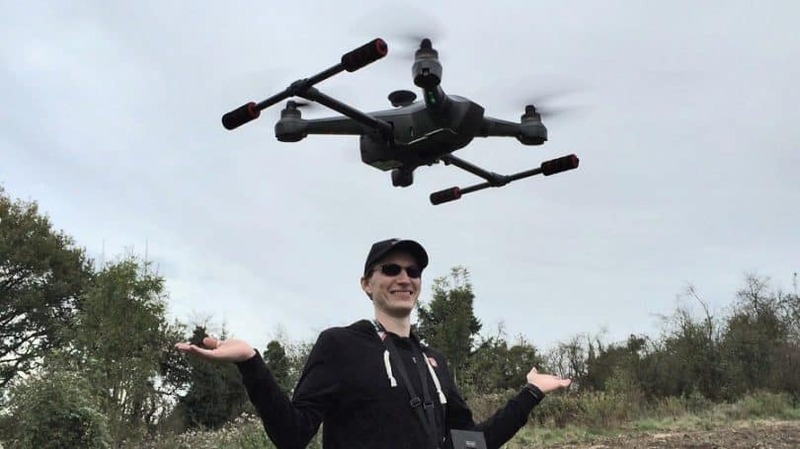 If you want to choose another gimbal, those long legs allow for plenty of space but, at the same time, they are pretty fragile so go easy on the landings. The dimensions of this drone are 335 x 335 x 275 mm and the materials that were used for the body and rotors are strong and lightweight. We’re talking about materials like plastic and carbon fiber. The available colors are black, white and gray. Walkera wanted something unique, not just a standard quadcopter so they simply added another 4 motors. This one has incredible horsepower and those who tested it said that the drone stays stable even after losing a prop or a motor. The Scout X4 has Walkera G-3D and iLook+ camera and gimbal system which can give you some pretty nice videos and photos. 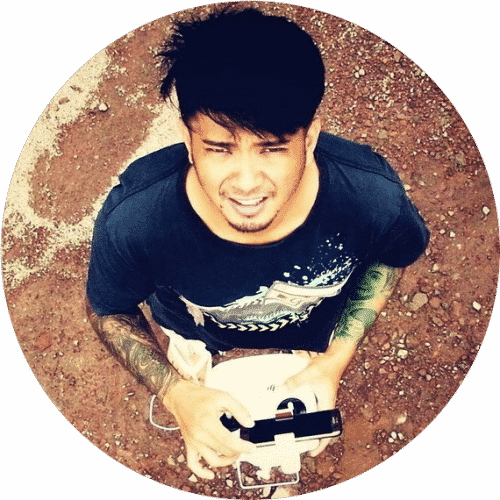 The drone can be flown in FPV (first-person-view) due to the built-in video transmitter. The iLook is a 1080p camera and it comes with the stock option. It is as good as a mid-range GoPro and it has a built in 5.8 GHz video transmitter. For those who want better video performance, the drone is available in GoPro kit too, and it comes with a TX5803 5.8 GHz video transmitter. The iLook+ was designed to have the same dimensions and button placements as a GoPro, so the G-3D gimbal is compatible with the GoPro Hero 3 as well as GoPro Hero 4. If you want a heavier and better camera and the Scout X4 is not for the job you want, the Scout X8 kit will solve the problem. The X8 is capable of doubling its carrying capacity to about 750g and it has the Sony RX100 gimbal with HMI converter. Now that heavier camera and gimbal system you wanted may be within the payload capacity and can be carried by the X8. The Scout X4 has a battery with the capacity of 5,400 mAh that is larger than the average battery of 4,700 mAh and it has a flight time of up to 25 minutes (with 15 minutes longer than the average drone). Keep in mind that this flight time was measured with no additional weight. So if you add a heavier camera, or you want to carry something else, the flight time will decrease. 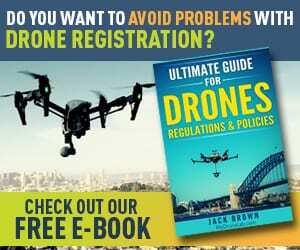 This happens with every drone you will have, it is not a problem just for this specific product. 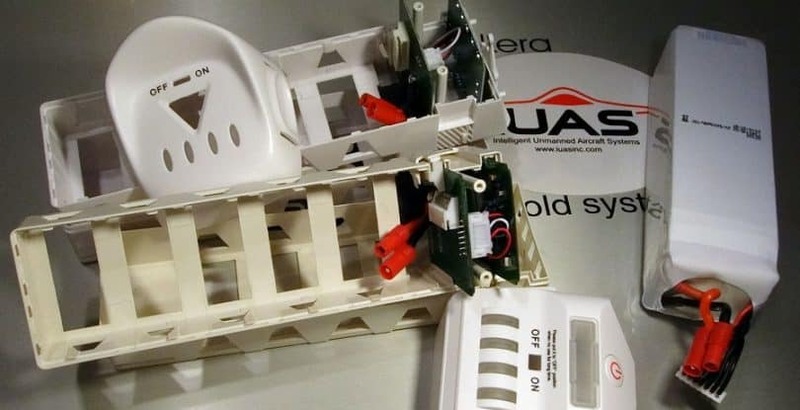 It can carry up to 500 grams or 1.10 pounds besides the weight of its built-in components which is a below average payload capacity. This means it can carry an average GoPro camera and this is one of the reasons for the X8 kit. The X4 uses the DEVO F12E controller which is an upgraded version of the Walkera DEVO 12S RC controller. It has a new design and the biggest difference is the 5inch FPV monitor. You just have to turn on the transmitter and you will receive real-time video feeds right away. The controller’s battery is from lithium polymer and its capacity is 3,000 mAh. The Scout X4 is a little bit faster than the average drone, with a speed of 16.7 m/s or 37 mph. The maximum speed will be affected by stronger winds and by the direction of flight (this speed was measured horizontally). 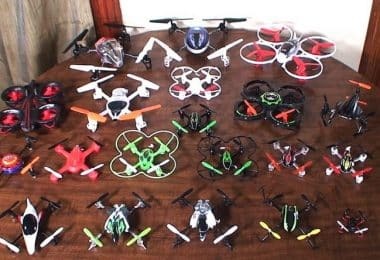 Bind and fly: you can use one controller for multiple drones as long as you set a connection between them, but you can’t fly multiple drones at once. GPS compatible: the quad is connected to a GPS system that will help you know its location all the time as long as it is within operable range. Flight planning: with this, you can pre-plan your drone’s flight path, and once it is in the air, the drone will follow the route you’ve created. Autonomous flight: in addition to the flight planning where you create a route so the drone can follow it, here you can use some waypoints set up on the ground. 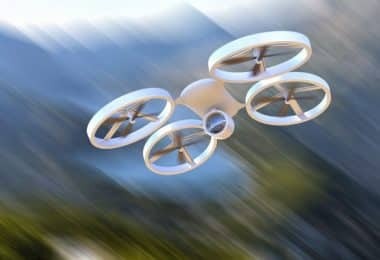 Automatic landing: only by pressing a button the drone will land automatically. The Scout X4 has an operating range of 1,500 meters or 4,921 feet, which is 1,400 meters or 4,593 feet further than the average. Above is a video of the Scout X4 in flight. The Walkera Scout X4 has a price of around $1000 and you can buy it online from big stores like Amazon. The price of the Scout X8 upgrade kit is about $340 and it contains all the items mentioned above. 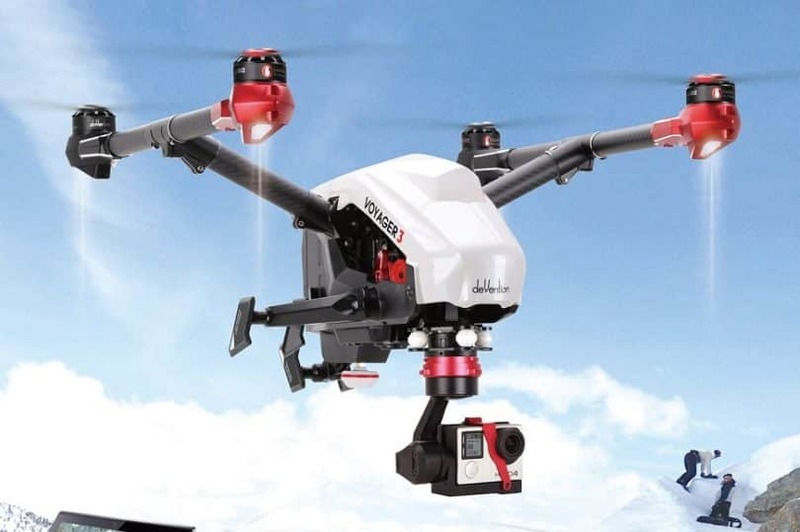 It may sound a bit expensive, especially if you add the kit, but this is a pretty neat drone and can give you access to the world of professional aerial photography. I didn’t found any information about the guarantee but I think you can contact them if there is a problem with the product or any other problem. Unfortunately, this depends on the provider that you will choose. The Walkera Scout X4 has a lot of amazing features so I will mention some of them that you can enjoy if you are going to buy this drone. Although the DJI Phantom 2 and Walkera Scout X4 are pretty similar products, the X4 has some features that Phantom 2 is lacking. 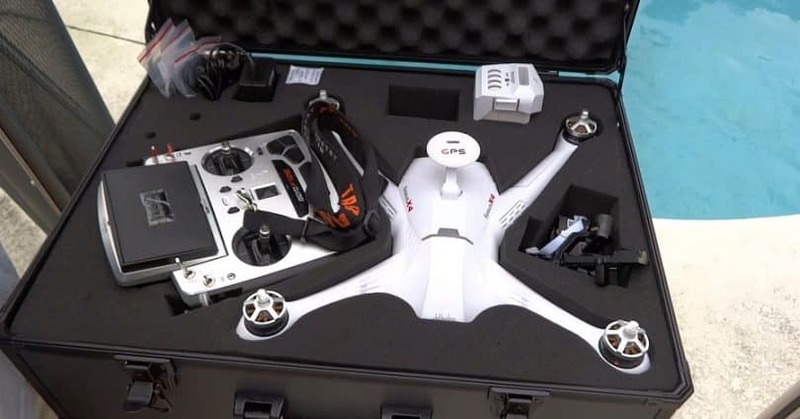 Mostly, the difference is that the Scout X4 comes equipped right of the box while the Phantom 2 requires some accessories that you’ll need to buy separately. With the Scout’s camera, you will be able to film videos from first-person view (FPV) right out of the box because the drone comes with the DEVO F12E transmitter. For the Phantom 2, you will need an iOS or an Android device and you will need to install something that will allow you FPV. 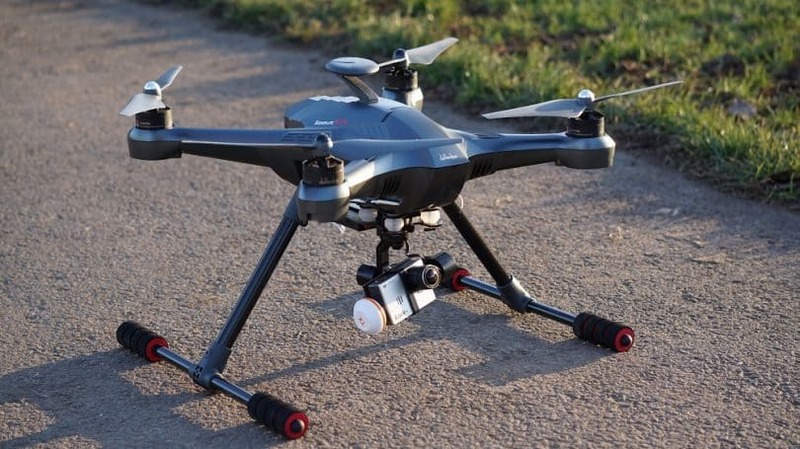 The Scout has retractable landing gear so once the drone is in the air and you want to film something, you can move the legs up so it will not obstruct the view of the camera. This helps on landing too because there is a larger landing gear so the quad and the camera can avoid any sort of scratch. On the other hand for the Phantom 2 is not that easy on landing because it has a fixed landing gear that had to be small so that the camera view wouldn’t be blocked. To get a much better idea how this model looks and what it offers, we suggest checking out our DJI Phantom 2 in-depth review. They differ in size and power. The Scout is taller, larger and a bit more powerful than the Phantom 2. So you will be a little more nimble and fast with the Scout and be able to get out from the bad situations if you encounter them. 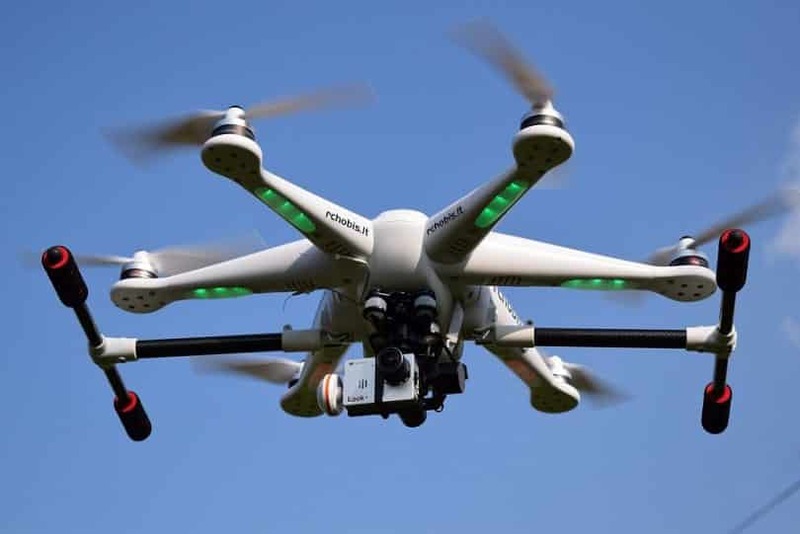 The X4 comes with the ground station which helps you control the drone’s flight with an iPad but for the other drone, you will have to get their Bluetooth data link. 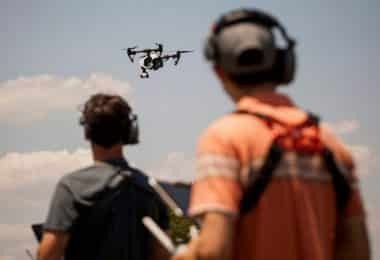 The major difference between these two drones is that the Scout X4 can be upgraded to Scout X8 in order to have more power and attach larger cameras. Otherwise, both are easy to fly, offer a flight time of 25 minutes and have GPS stability. So whichever you choose to buy, you will not be disappointed. 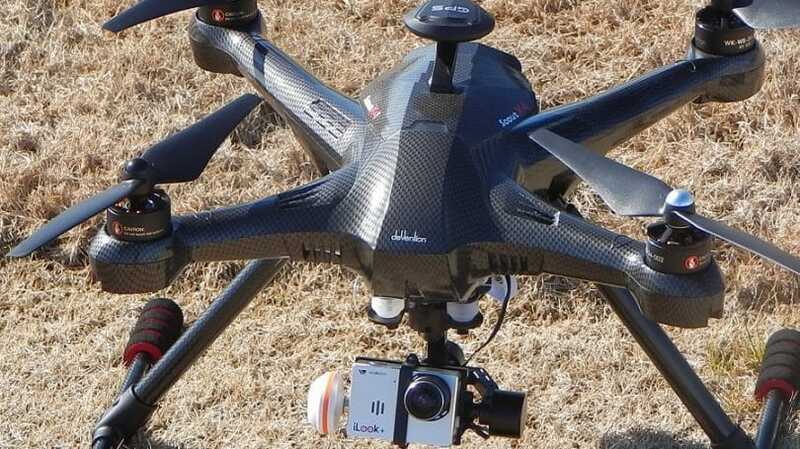 The Tali H500 is a hexacopter while the Scout X4 is a quadcopter that can be transformed into an octocopter. Both have a flight time of 25 minutes, a wingspan of 233 mm and an operating range of 1500 m. The Tali H500 is heavier and has a payload capacity of 480 grams while the Scout’s X4 payload capacity is 500 grams and can be higher with the Scout X8 upgrade kit. For a better insight on this hexacopter, we suggest checking out our Walkera Tali H500 in-depth review. Both have the Walkera F12E transmitter with its battery capacity of 3000 mAh. The Tali H500 may not be so agile due to its extra weight, but it has the same basic components, same battery, and same motors, except the external GPS. So again is just up to you to decide which one is better. 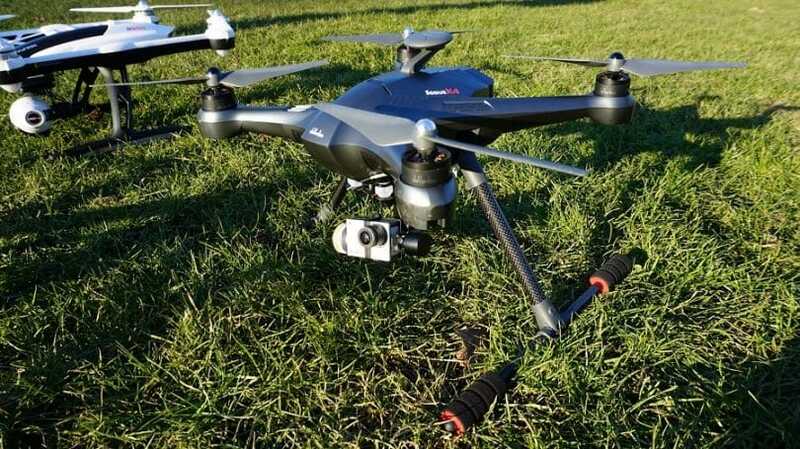 The Voyager 3 has a retractable gimbal as well but for this drone is very useful because it can film 360 degrees videos, and, for a better insight on this model’s features and flight characteristics, we suggest reading our Walkera Voyager 3 in-depth review. Furthermore, both drones use Walkera DEVO F12E transmitter and can film videos in FPV. The Voyager 3 is bigger than the Scout X4 but the operating range is smaller with 500 meters. The materials that were used for their bodies are plastic and carbon fiber. Voyager 3 is available only in one single color (white) while you will find the X4 in black, white, and gray. Both have a flight time of up to 25 minutes. Now, about the payload capacity: Voyager 3 can carry only 320 grams or 0.71 pounds while the Scout X4 can carry 500 grams or 1.10 pounds. And if you upgrade it to X8, it will carry even more than that. Both drones can fly faster than the average. The maximum speed of the Voyager 3 is 22.0 m/s or 49 mph while the maximum speed of the Scout X4 reaches only 16.7 m/s or 37 mph. You will make your choice depending on if you want more speed or more payload capacity, but both drones deserve attention. The Walkera Scout X4 is a very capable quad. The unique feature that no drone can have at this price is the ability to move from four rotors to eight rotors. This makes the Scout X4 a very versatile model and can be very helpful especially for the photographers, because they can choose a bigger and heavier camera if they want. The Walkera Scout X4 has indeed some amazing features but it deserves its price and the few hundred dollars for the extra pieces so that you can transform it into an octocopter. Also Walkera X4 has a very long battery life, it is very easy to navigate and has a powerful motor. It is highly resistant and all the amazing features make it worth its cost. The FPV feature is awesome for those who want photos and videos by using the drone as a hobby or business.